Is it Justifiable to Break the Law? 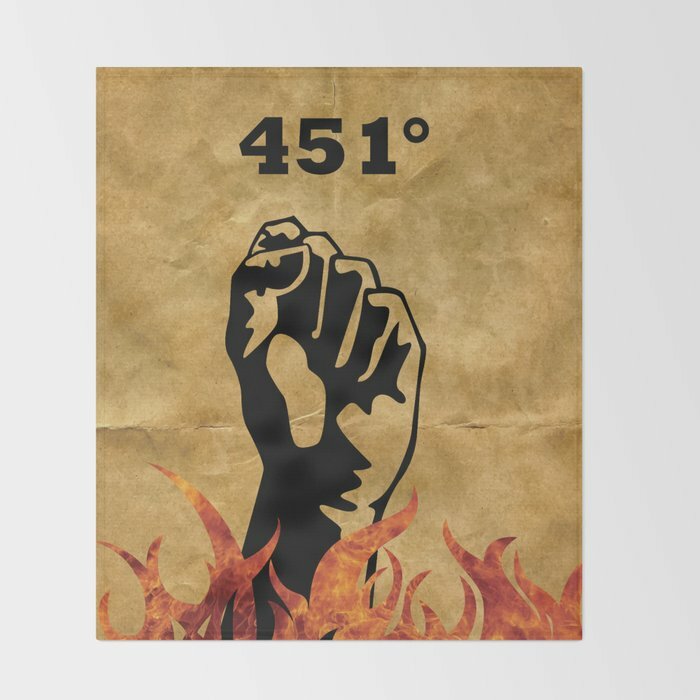 In Fahrenheit 451 written by Ray Bradbury and published in 1953, Bradbury presents a dystopian view of explains the result of the overuse, wrongful use of technology, and government censorship. Guy Montag, the main character, experiences a dramatic realization of his dystopian society when he journeys through moral right and wrong. Although, it may be unlawful to do the righteous thing, it can be justified for the right cause. Thoreau and King are correct as they explain that civil disobedience is necessary because some laws in our society may be unjust and in order to bring the right and proper laws to the public, it can be justified to break those laws. Breaking unjust laws can bring equality to the people and proper leadership to the country. The people or groups suppressed by unjust laws have the right to be freed when the action of breaking the law is for the greater good. Countries with a democracy should have no need for civil disobedience but sometimes it is needed to push the democratic society forward. Lastly, civil disobedience may become the only option for the public. In many cases, individuals have stood up against the government and their unfair laws to bring equality to the people. As seen with African Americans fighting for freedom and equality by the “underground railroad,” and “black lives matter” movements. Democracy is in place to not have uprising to break unjust laws, but there are still minorities who are suppressed. Many argue that democracy may move too slow for these unjust laws to be revoked. So, it leaves an option to break the law to make life better for these minorities and people who are suppressed by the unjust laws. Dr. Kevin Walton explains that civil disobedience is needed and agrees with Thoreau and King with this quote: “Even if there is a duty to obey the law, it might be trumped in specific cases by considerations of justice” (Dr. Kevin Walton). Democracy can solve problems without disobedience of the law but some people do not have the option of democracy. With a democracy government, the people have the say what laws can be instated. However, democracy is flawed by the majority is suppressing the minorities. In the dystopian society, in Fahrenheit 451, the novel shows many aspects of a government dictatorship. It leads to the explanation that disobedience of the law needs to happen to not be suppressed by the government. As shown by Guy Montag, in Fahrenheit 451, the only way to escape the dystopia and give the people hope is to rebel against the government. In the novel, he finds others who believe in the same freedom as he does. Although democracy gives the power of the government to people, some unkind laws may stay in place. Therefore, civil disobedience is warranted to move the democratic action. Large figures in the civil rights movements, including Mohandas Gandhi and Martin Luther King Jr. both used civil disobedience in a peaceful manner to march upon their governments to change unjust laws. Both examples succeeded due to the large popularity of their respective movements and changed the unfair law for the better. In the novel, Fahrenheit 451, Guy Montag learns the truth about the society that he lives in and acts upon it. He defies the governments rule by reading books, plotting against the government and his fellow firemen. Although his plan to start a revolution did not work, he proved the government’s wrong doings. During times of oppression, people believe that civil disobedience is the only option. Malcolm X and his supporters followed this same belief in their actions during the civil rights movement. Malcolm X agreed with physical violence to protect oneself unlike Martin Luther King Jr. who advocated for peaceful movements. Guy Montag, in Fahrenheit 451, had an ideology like Malcolm X. He believed that it was necessary to act upon civil disobedience against the government. Guy Montag lived in a society where there was very little chance of having a peaceful challenge to the government, so he used physical violence, killing Captain Beatty and the Mechanical Hound because of his dire situation. Guy Montag and Malcolm X’s reasoning justify their actions because of the intense and dangerous situation. A quote to prove this belief is from The New York Times: “The occurrence of civil disobedience can never be a happy phenomenon; when it is justified, something is seriously wrong with the society in which it takes place” (Is It Right to Break the Law?). Both Guy Montag and Malcolm X lived in a society where many things were wrong, and both took civil disobedience into their own hands. Their actions are justified because of the society that they live in. Many large political and philosophical figures in history have questioned the morals of right and wrong, whether to disobey the government to free themselves and others or not. Thoreau and King believed that civil disobedience is needed in society. They believed that it is justifiable to break laws in order to stop the suppression of certain groups, to push forward democratic action to help those in need, to rid societies of unfair laws, and when civil disobedience becomes the last viable option. Thoreau and King are correct, stating that civil disobedience is needed to face unjust laws. Without civil disobedience, civilization would be vastly unjust for the certain individuals and groups in every society. These real or imagined inequalities certainly justify the actions of civil disobedience. I was able to prove my point clear and concisely with facts and proven points to back up my view. Also I had a well structured layout of my essay, making it easy for the reader to understand what my point is trying to get across. I can go more into detail in my thoughts. Explore what other questions are behind the first question and fully develop my writing. Also I can bring more quotes from the novel and my secondary sources to prove my point.